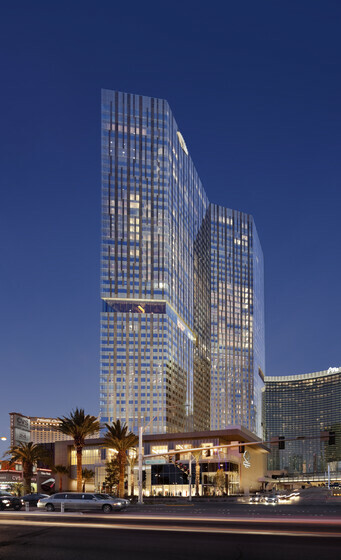 The Mandarin Oriental Hotel at MGM City Center is a model of sustainability on the Las Vegas Strip. Atelier Ten has optimized the building’s façade to exceed the stringent local energy code while still creating an iconic presence in the skyline. 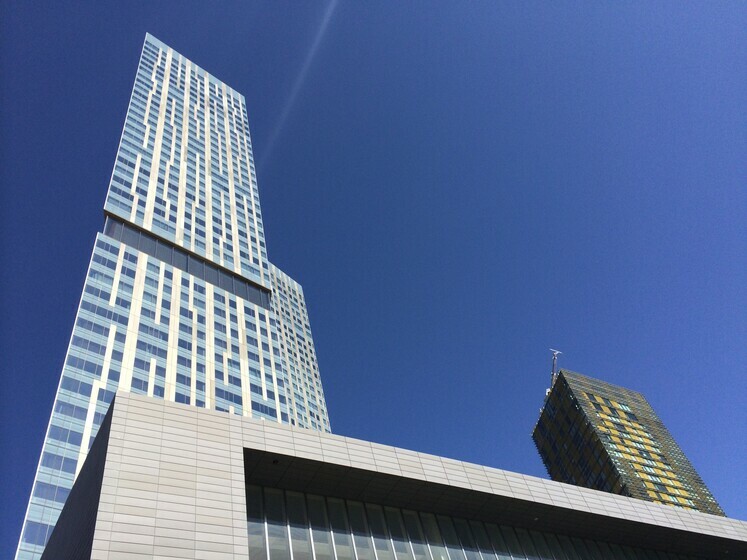 In extreme climates like Las Vegas, the façade performance is critical to reducing a building’s energy demand. Atelier Ten optimized the tower and podium façades to respond to several environmental factors. Shading, frit, and glazing options were designed and analyzed to reduce solar gains while providing useful daylight to all interior spaces – a rarity in Las Vegas. Visual comfort was carefully studied to aid in the design of façades and lower roofs. Curtainwall and insulation assemblies were detailed to reduce conductive heat gains. Atelier Ten evaluated mechanical system options and advanced building controls through detailed energy models to further reduce the building’s energy performance. Occupancy-based temperature setbacks, interior shades, and lighting scenes were studied as part of the automated controls scheme. The building is designed to perform 33.4% better than ASHRAE 90.1-1999 and received a LEED Gold rating from the USGBC.